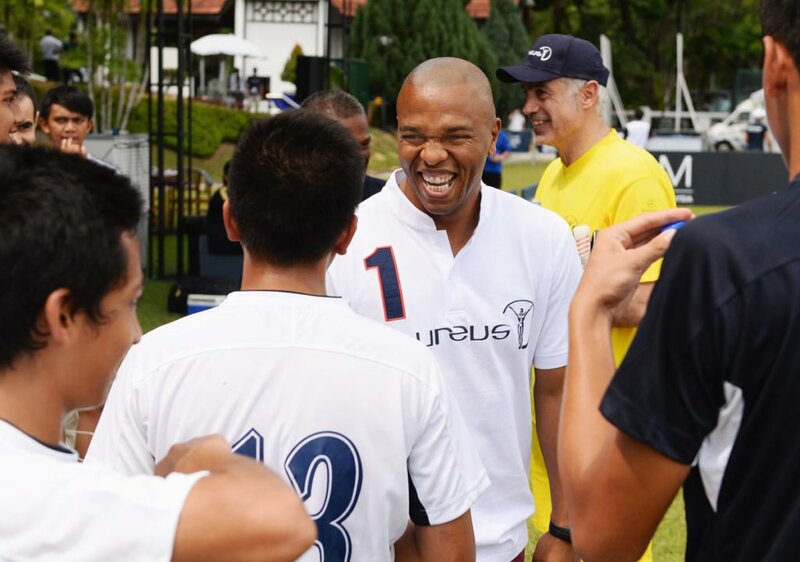 Former Manchester United star and South Africa footballer Quinton Fortune has joined the Laureus Family as an Ambassador for the Laureus Sport for Good Foundation. The former midfielder, who also played 46 times for South Africa, including the 1998 and 2002 World Cups, was announced as an Ambassador at an event celebrating the 10 year anniversary of Lesotho-based Kick4Life project in London. Kick4Life aims to use the power of football to combat the HIV/AIDS crisis in the country, engaging with and educating young people through sport. The organisation also offers mentoring, education and employment support and football coaching to its youngsters. After a spell playing for Atlético Madrid, Fortune was signed by Manchester United in 1999, and it was there that he enjoyed the most successful period of his career, playing 126 times in seven years. Quinton was thought of primarily as an attacking left-sided midfielder, but he also filled in as a defender. Quinton also represented Laureus in a footballing capacity, playing in the Laureus All Stars Unity Cup in Kuala Lumpur ahead of the 2014 Laureus World Sports Awards.